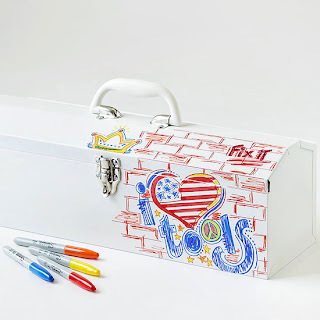 A white metal toolbox is the perfect blank slate for kids' creativity on Father's Day. Hand over permanent markers in various colors, and let kids draw on the patterns and images of their choosing. Add to the gift by purchasing Dad a few new tools to showcase in his unique box. 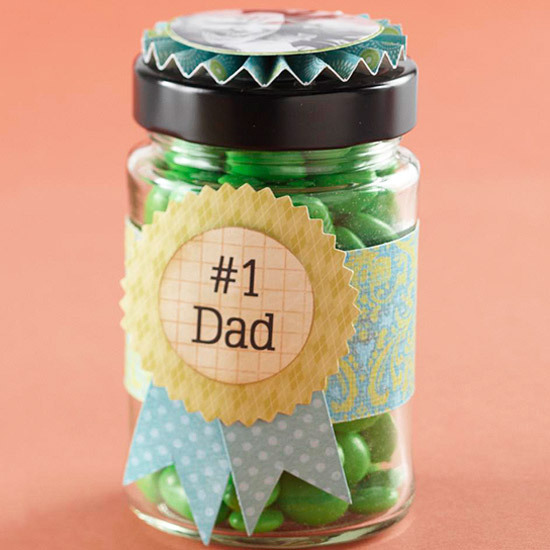 Satisfy Dad's sweet tooth with this yummy and simple gift. Fill a clear jar with his favorite candy, wrap a simple ribbon or band of paper around the center, and finish with a "#1 Dad" label made from paper scraps. 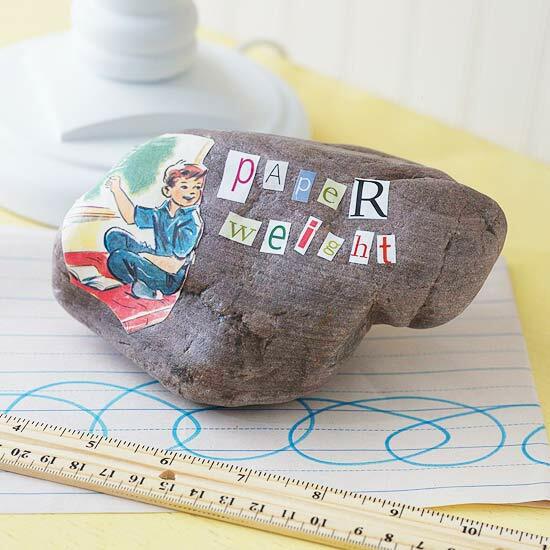 Kids can easily craft a unique paperweight for Father's Day with paper scraps and a rock from the yard. Send them on an outdoor scavenger hunt to get a large, slightly heavy rock, then clean it with water and let it dry. Have kids (who are old enough to handle scissors) cut out letters and images from a stack of magazines. Glue on letters to spell out Dad's name, "paperweight", or anything else that comes to mind. 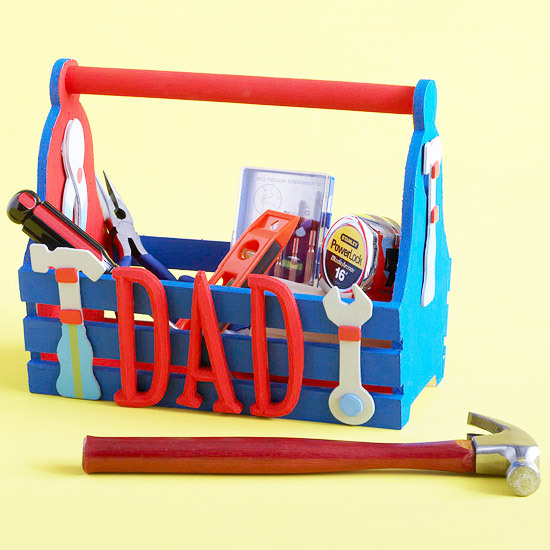 Give Dad's tools a special place with a new toolbox made by the kiddos. Start with an unfinished toolbox or wooden bin found at crafts stores. Let your little ones paint the toolbox Dad's favorite colors. Add an extra-special touch with wooden tools and letters they can glue on all by themselves. 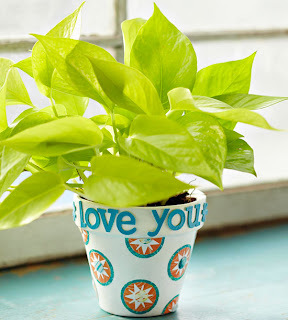 A plain terra-cotta pot becomes a cute Father's Day gift with a bit of paint and some foam letter stickers. Let kids paint a pot the color of their choice with kid-safe acrylic paint; let dry. Attach punched-paper shapes and accents to the painted pot with decoupage medium, and embellish the border with foam letter stickers. Give Dad an artistic picture this year instead of the expected photo in a frame. This self-portrait is easy for a child to create. Cut leftover scrapbooking paper in colors that match skin tone, hair, and eyes into small pieces. 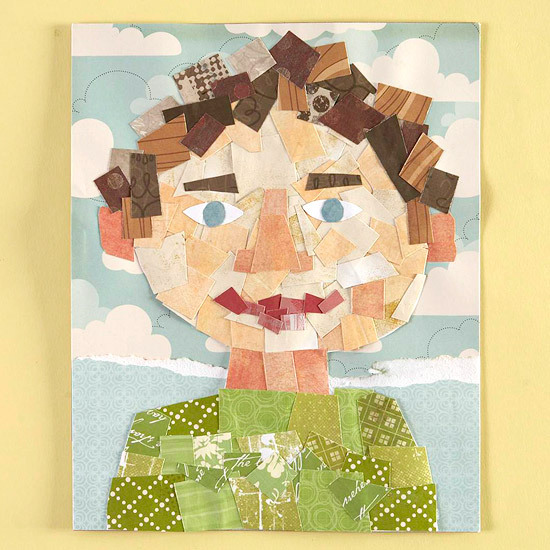 Have your child sketch an outline of himself or herself on heavy paper, then simply fill in the outline with the paper scraps for a colorful self-portrait mosaic. 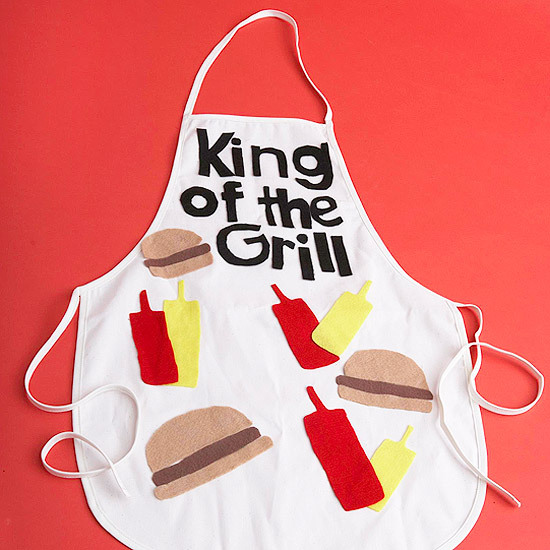 If Dad likes to barbecue, make him a special apron. Trace shapes of hamburgers, ketchup and mustard bottles, and other grilling accessories onto felt squares. Cut out the shapes, and use crafts glue to attach them to the apron.